Technology has opened the doors for newsrooms. No longer can media cover all the most relevant news on their own. The expansion of content worth covering and the increased specialization among newsrooms has opened an opportunity for media companies to complement their core competencies by sharing, trading and working with companies of other specializations. The challenges are working productively with collaborators and competitors, deciding which responsibilities are best completed by a third party, knowing when another news organization will benefit your viewers and readers and trusting contributions from outside vendors, among other topics. 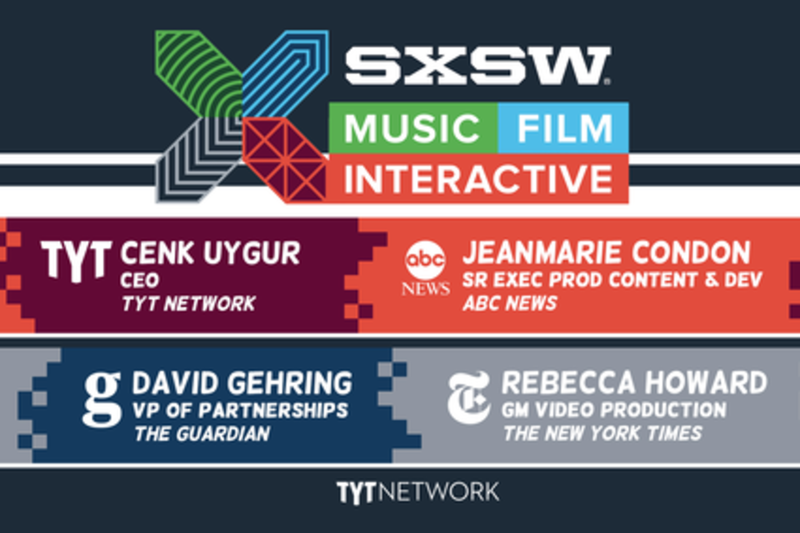 Representatives from The New York Times, The Young Turks, ABC News, and The Guardian will discuss how the opening of the newsroom to new technology changes how they operate. Panel attendees will learn best practices for welcoming other organization into their newsrooms and collaborating with other media. Cenk is the founder and CEO of The Young Turks, LLC, and the host of the flagship show, The Young Turks, a daily 2-hour show on YouTube. He also hosted The Young Turks with Cenk Uygur, which aired daily at 7PM ET on Current TV from Oct 2011 to Aug 2013. Prior to moving to Current TV, Cenk hosted a primetime news show on MSNBC from 2010 to 2011. Prior to founding TYT, Cenk was a host on the USA Broadcasting where he also worked as a television writer. In the early stages of his broadcast career he hosted radio shows on WRKO in Boston, MA, WWRC in Washington, DC, Sirius Satellite Radio and Air America. Cenk currently contributes to the Huffington Post where he is in the Top 5 Most Popular All Time blogger. Cenk is a graduate of the University of Pennsylvania’s Wharton School of Business and Columbia Law School. Jeanmarie Condon is the Senior Executive Producer of Content and Development for ABC news. Jeanmarie develops a range of special projects and series for broadcast, digital and cable, focusing on award-winning enterprise reporting and on original division-wide deep dive journalism. She was previously the executive producer of Nightline. She won three DuPont Awards, two Edward R. Murrow Awards, six Emmy awards, and three Peabody Awards.